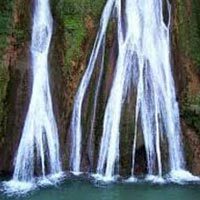 Meet at New Delhi and start your journey to Haridwar. Check in to the hotel at arrival. Evening visit Har Ki Pauri for Famous Ganga Arti. Dinner and overnight stay at Haridwar. Morning after breakfast, check out from hotel. Visit famous Mansa Devi and Chandi Devi Templs by cable car in Haridwar. Later visit other important temples of Haridwar such as Daksh Temple, Maya Devi Temple, Pawan Dham & Parad Shivling. Transfer to Rishikesh. Check in to hotel. Visit Triveni Ghat for Ganga Aarti. Dinner and night stay at Rishikesh. Morning after breakfast enjoy full day Rishikesh sightseeing tour. Visit Bharat Mandir, Neelkanth Mahadev, Lakshman Temple, Lakshman Jhula, Trambakeshwar Temple, Ram Jhula & Gita Bhawan. Evening you can relax or visit Ganga Aarti at Parmarth Niketan. Dinner and overnight stay at Rishikesh. Morning after breakfast, You can do Rafting in river ganga or relax. Later check out from hotel. Transfer to Mussoorie. Afternoon visit Mall Road & Camel Back Road walk. Visit Gun Hill by cable car for sunset and himalaya view. Dinner and overnight stay at Mussoorie. 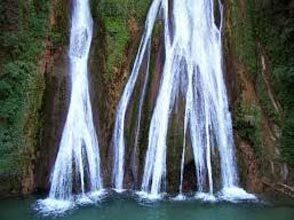 Morning after breakfast enjoy full day Mussoorie sightseeing tour. Visit Kempty Falls. You can enjoy in water of this lovely waterfall. Later visit Dhanaulti and Surkanda Devi Temple. Return to Mussoorie. Dinner and overnight stay at Mussoorie. Morning after breakfast, Check out from hotel and transfer to Delhi. Dropping at Delhi. Services ends here.